When I worked in Manila several years back, I rented an apartment in Makati but away from the Central Business District. The only place I know is the Ayala Avenue strip because of the shopping malls, business offices, and the Ayala Triangle. Beyond that, I had no time exploring the tiny alleys of the city. 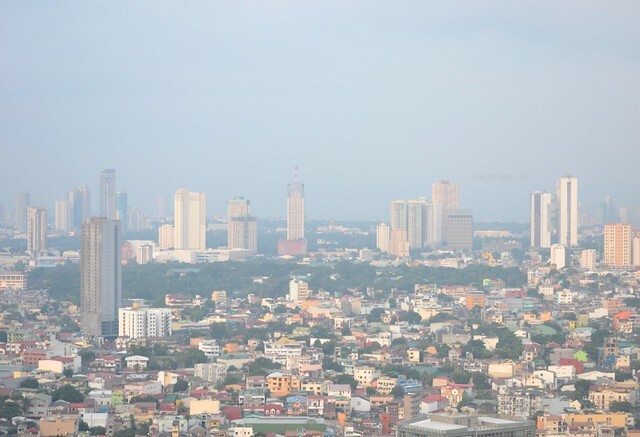 Lately, I had the chance to stay in a part of Makati that I haven’t explored before, Bel-Air. I was surprised to know that the area boasts its own set of hole-in-the-wall restaurants similar to Maginhawa Street and Kapitolyo in Pasig. 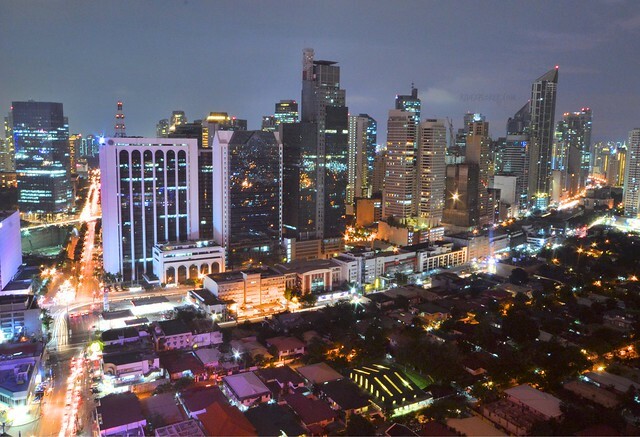 A handful of bars also lure foreign travelers because of the availability of budget accommodations in Makati. Another thing to note is the high-rise buildings with most of them are hotels. 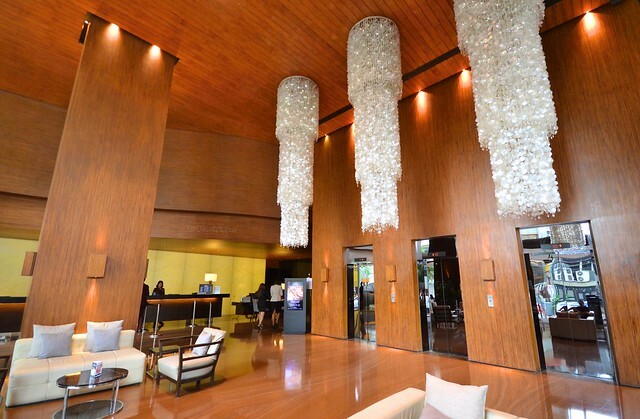 One of the few is City Garden Grand Hotel on one corner of Makati Avenue and Durban Street. 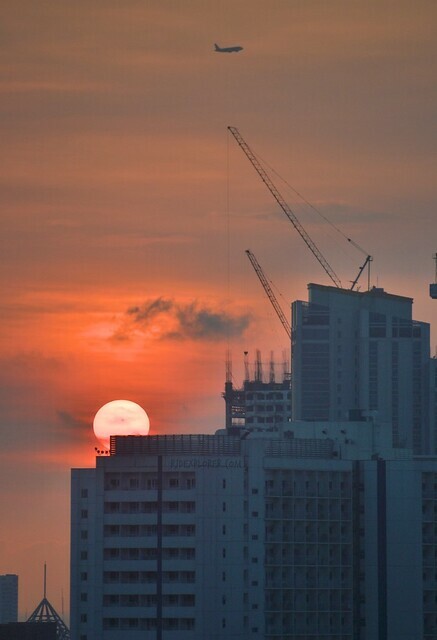 Elusive sunset during my 100-day Southeast Asia trip was fulfilled on my stay at City Garden Grand Hotel. We had a fun farm and camping weekend at Timberland Heights’ Adventure Farm and the stay at City Garden Grand Hotel would be a perfect treat to transition from a camping to a staycation experience. Just in case you’re hailing a cab or booking a ride using Grab or Uber, please do note that there are two City Garden hotels in Makati and you need to confirm with the driver that you’re going to the City Garden with the grand. 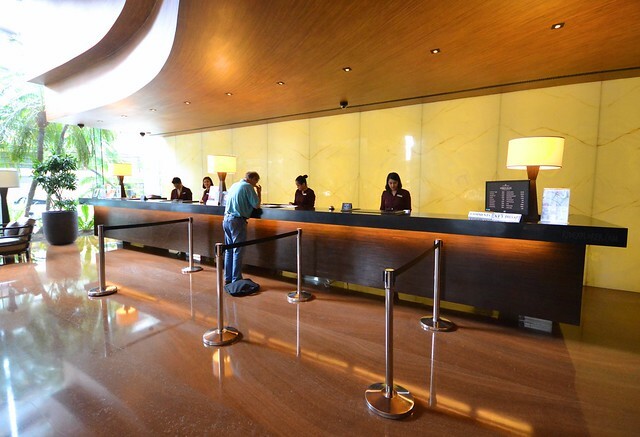 Before anything else, you need to provide a personal identification to the front desk to verify your reservation. Next step would be filling up and signing the check-in form. Few spiels and reminders will be given by the assigned front-desk and you’re good to go. On my way to the elevators, there was no way I could miss the massive and grand chandeliers in the lobby. Grand lobby of City Garden Grand Hotel. The three sparkling chandeliers can really break a neck while waiting for an elevator ride up to the rooms. Elevator buttons are secured by an RFID device and can be accessed by tapping your keycard to select your floor assignment. City Garden Grand Hotel is a 32-floor property and a higher floor will provide a better view of the city. I got a reservation in a Superior Room, one of the five room types available. 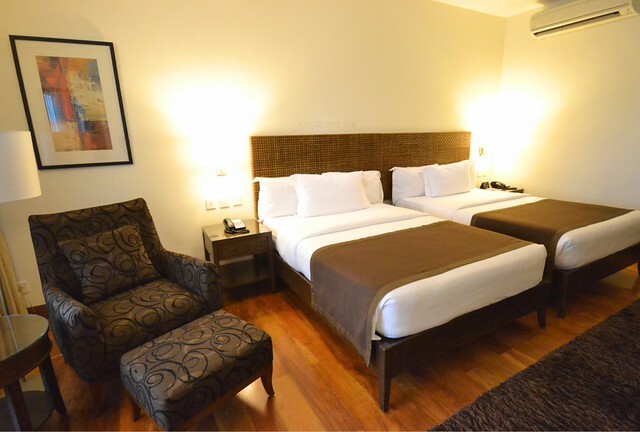 The room can accommodate two adults and two children where bed configuration could be a king or two double beds. Though it’s the lowest type of room, you can expect the luxury of space given the 32-square meter floor area. Space is a luxury at City Garden Grand Hotel rooms. 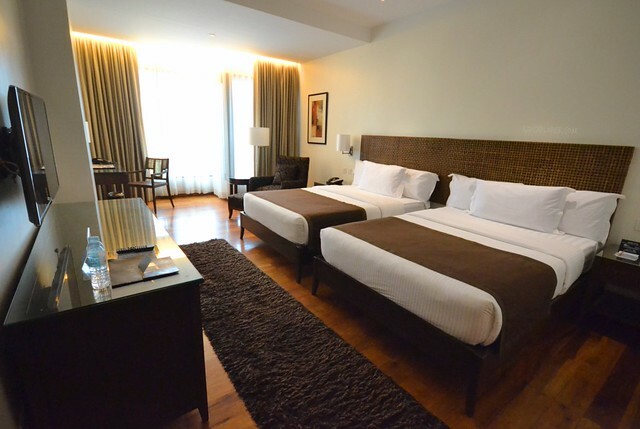 Since the hotel caters to both leisure and business travelers, the interiors of the room manifest a sleek design. Colors of the wooden floor, bed runners, fluffy rug, couch covers, and curtains, pulled from the earth tone color scheme, bring a dimmed mood to the room. This is being contrasted by the floor-to-ceiling windows covered with a sash curtain that filters out invasive light. It’s also mandatory to mention the timeless woven wood headboard. Enough of the room interior and let’s get to the room facilities and amenities. Two queen-sized beds have three fluffy pillows and a duvet. Each bedside has a lamp, power outlet, and a telephone. Right next to the beds is a single seater sofa with a leg rest. The floor-to-ceiling window provides an unobstructed view of Makati’s Central Business District. The nearby working desk has another phone, lamp, calendar, and hotel information sheet for services offered. View of the city from my room. For entertainment, a flat-screen television with cable channels placed perfectly opposite the beds. Wireless internet connection can be accessed using your surname as username and room number as the password. Fridge, coffee and tea making facility and a wine cooler bucket can be found inside the cabinet. Free bottled waters are also available. Closet is also huge securing the laundry bags, bathrobes, slippers, ironing board, few cloth hangers, and the safe. This is a fact, it is rare to see a bathtub in the lowest room type of a hotel. But mind you, City Garden Grand Hotel superior rooms are equipped with a bathtub. Not the fancy ones but the regular tub perfect for some relaxing hot bath. Set of towel is provided from foot, hand, and bath towels. Hot and cold shower is available on both handheld and overhead shower. There’s even a retractable cloth line in case you need to dry stuff during your stay. Toiletries like shampoo, soap, lotion, and dental and vanity kits are provided as complimentary. Meanwhile, you can find a bidet. Yay! 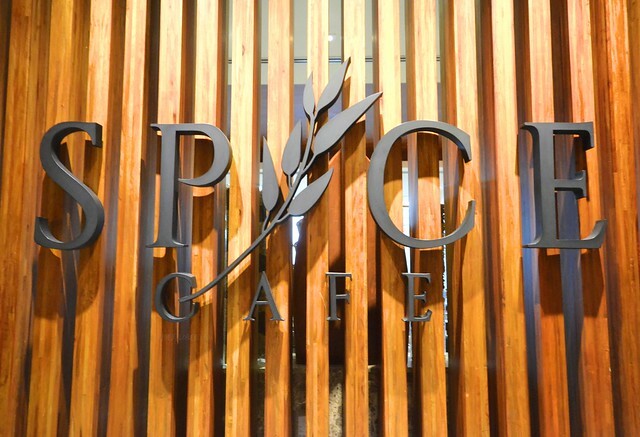 Buffet breakfast is at the hotel’s revamped Spice Café on the 7th floor. 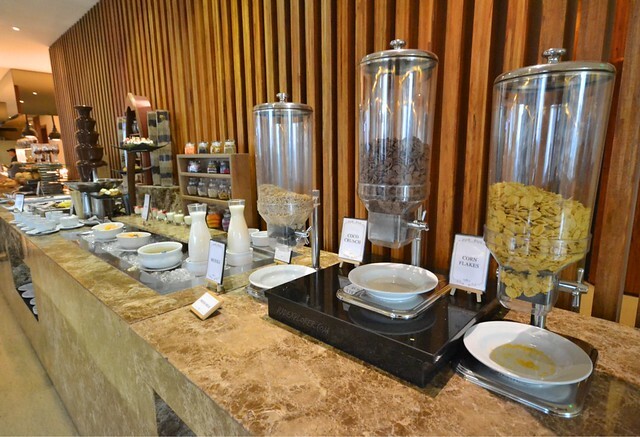 There are four major sections of the buffet and the nearest one from the entrance has the cereal, dessert, fruit, and bread stations. 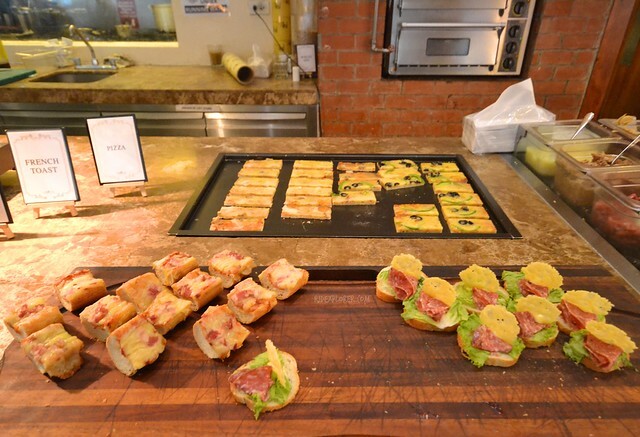 Next to it are entrees like curries, stir-fried noodles and veggies, and soups. 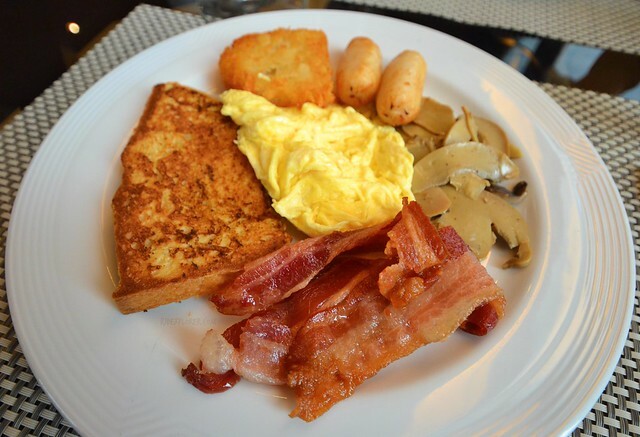 On the rear part includes the breakfast staples like bacon, ham, hashbrown, egg, sausages, together with pizza and bruschetta, noodle and dim sum, and simple maki rolls. 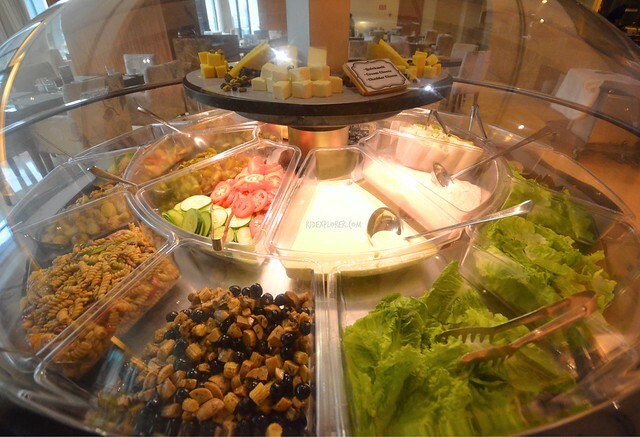 Another station is the fancy revolving salad bar where you could dig on chambers of salad staples. Cereal, dessert, fruits, and bread section. American breakfast to start the day. Oriental breakfast for round two! If the hotel rooms already offer sweeping views of the cityscape, wait till you see the view on the roof deck. 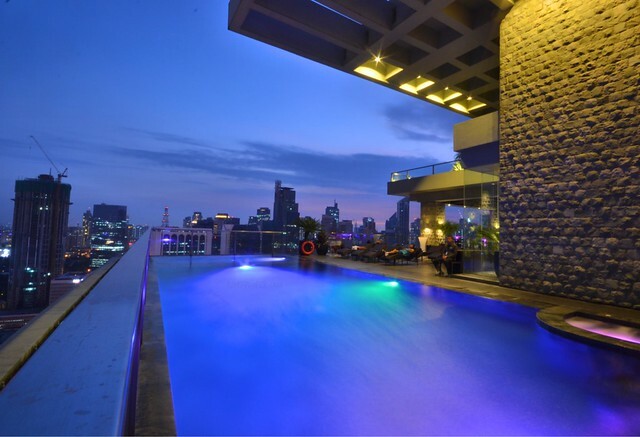 Apart from the view, City Garden Grand Hotel’s swimming pool is also on the rooftop. 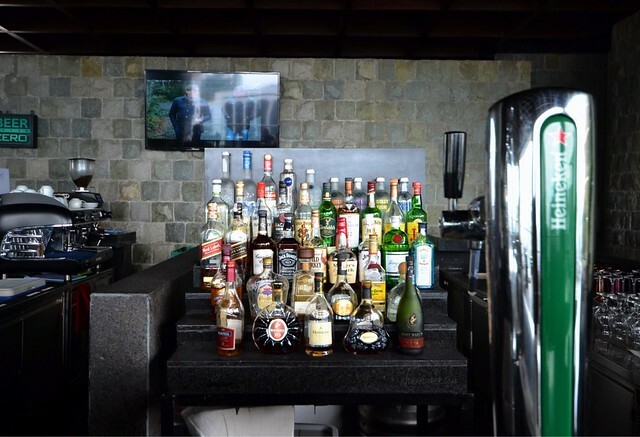 The deck attracts not only in-house guests but also walk-ins because it’s regarded as one of the coolest and highest bars in the city. Swimming pool on the roof deck of the hotel. Sweeping view from the hotel’s roof deck. 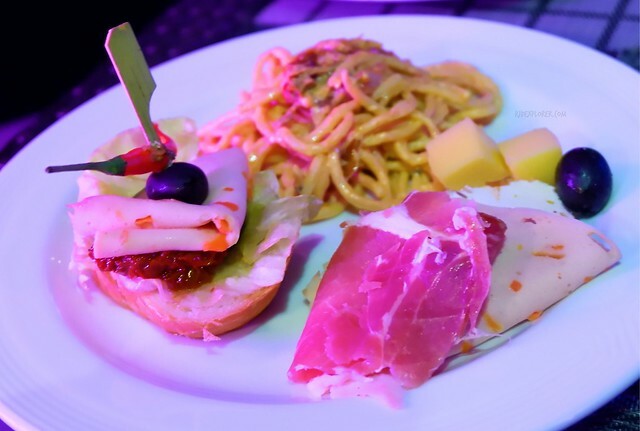 During dinner time, don’t fret if you see tons of people lounging on the deck because of Firefly Roofdeck serves ala carte meals but themed-dinner buffet is one of the reasons why people visit the rooftop. 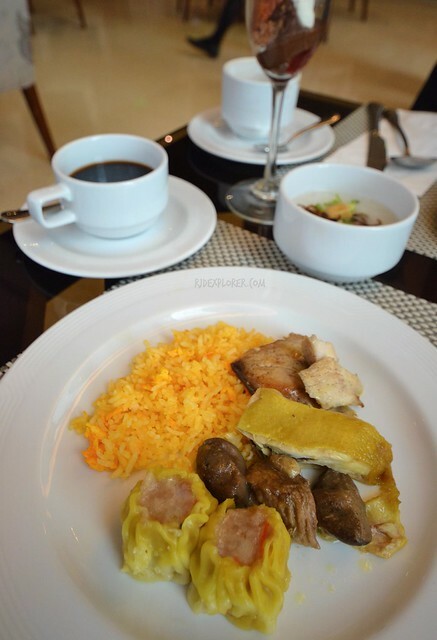 During my stay, we got to try the dinner buffet. 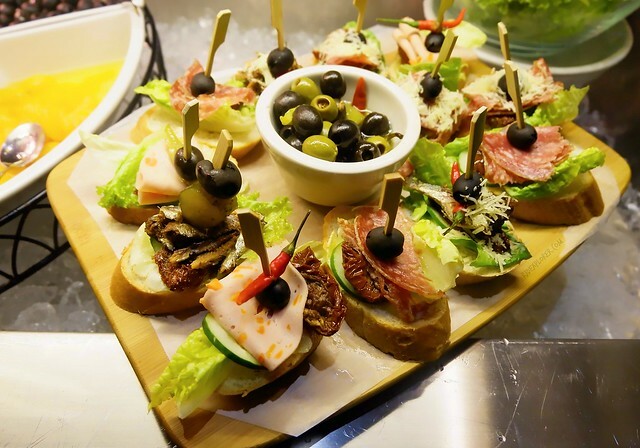 Though selections are few, food is great plus you get a personal waiter who’ll attend on every need. 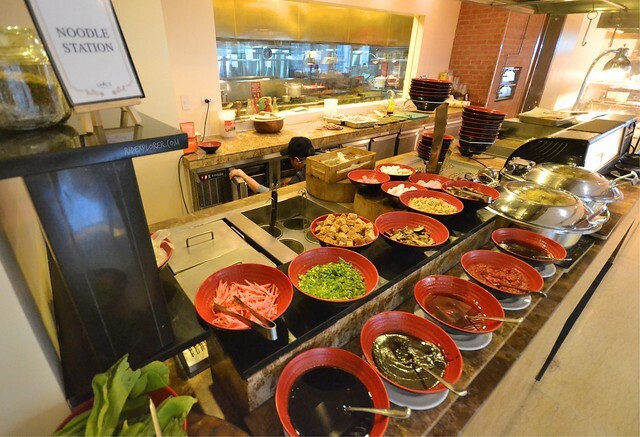 Dinner buffet at Firefly Restaurant and Bar. Other facilities I wasn’t able to try but the hotel offers are the fitness gym on the 9th floor open from 6 AM to 10 PM daily, La Famosa Spa from 8 AM to 10 PM and 24-hour in room services, business center and travel desk on the ground level, parking access, and Grab/Uber hailing. Need help? Just approach this corner in the lobby for travel and business needs. City Garden Grand Hotel is a nice base when in Poblacion neighborhood in Makati. Bars and hole-in-the-wall restaurants are within reach. 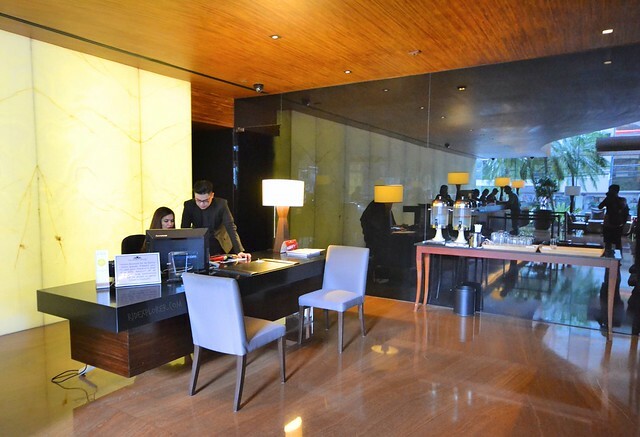 For business travelers, Makati CBD is just around 10-minute drive from the hotel. But what really shocked me with my stay at this 4-star hotel in Makati is its affordable rates. Check the hotel rates on the search box below or head to the hotel’s website to know more. City Garden Grand Hotel in Makati Avenue. 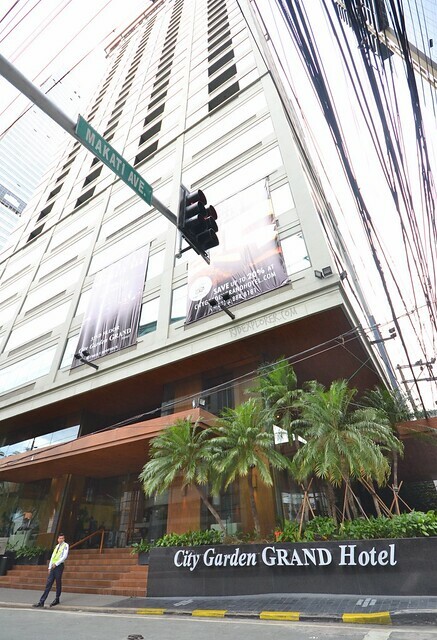 8008 Makati Ave & Kalayaan Ave.
Disclosure: City Garden Grand Hotel Makati invited me for an overnight stay to try and review their facilities. I write the article with my biases, opinions, and experiences. All written here are not influenced by the brand.